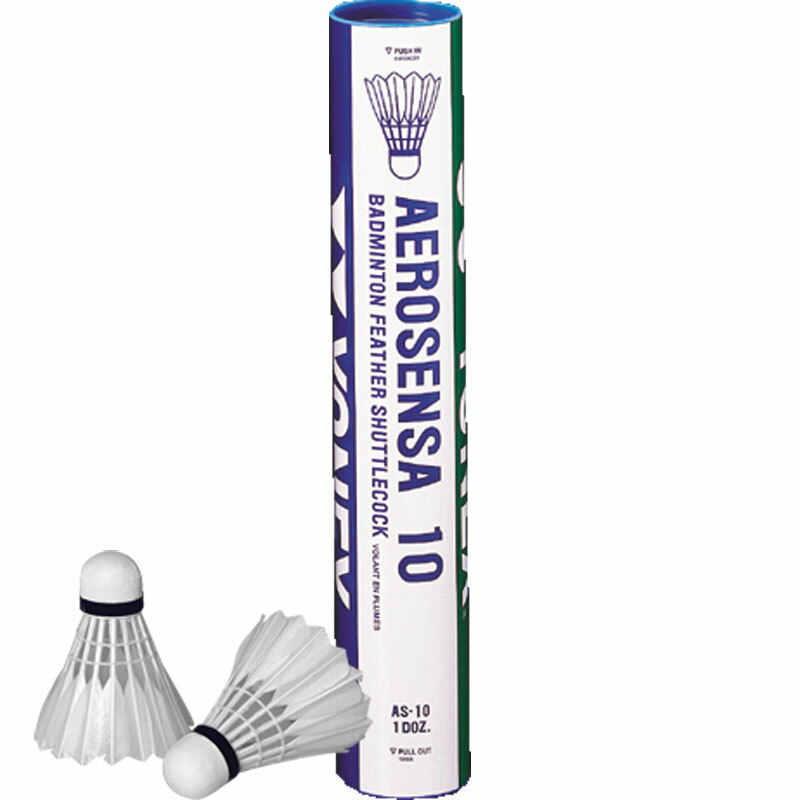 The Yonex ® Aerosensa 10 Feather Shuttlecocks are excellent value, perfect for personal or club use. Made of goose feather they are incredibly durable. Official Shuttlecock supplier to many world class events, Yonex Feather Shuttlecocks are meticulously engineered for distance stability under widely varying environmental conditions of play. Careful attention to materials and manufacture ensures outstanding durability under the tremendous shocks shuttlecocks receive at impact with today's high-power, high-speed rackets. Price per dozen (1 tube of 12). Much better than cheap shuttles from lesser-known brands, but they aren't nearly as good as Yonex AS-20, so it's a false economy to try to save a few pounds to get these instead of the AS-20s. These shuttlecocks play very well and are used during all our club sessions. We consider them to give excellent value for money and would recommend them to any interested parties. The service from Newitts was first class with delivery promptly received. As per usual, the shutlecocks arrived as promised, very quickly and on time as stated when ordering. The shuttles have been well received by all players and we would recommend both shuttles and supplier to anyone who is looking for quality.